Ceci est une nouvelle propriété incroyable qui a été décorée par des professionnels et offre des finitions haut de gamme. La maison est située à quelques pas des pistes de ski de Park City Mountain Resort et des boutiques et restaurants de la rue principale historique. La station de ski de Deer Valley et les canyons sont rapidement accessibles en voiture ou en bus gratuit. La maison offre de l'audio partout et une salle multimédia / théâtre de niveau inférieur avec un bar, pouvant accueillir des zones de couchage supplémentaires pour au moins deux personnes. 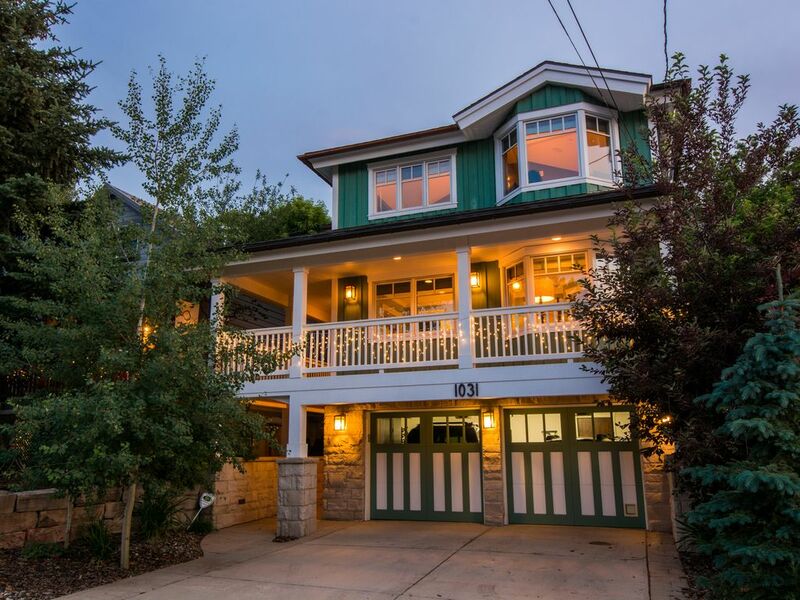 C’est vraiment un lieu de location incroyable, situé à proximité de tout ce que Park City a à offrir, mais il se trouve dans l’une des rues les plus exclusives et les plus calmes de la vieille ville (Woodside Avenue). Donnez-nous un appel ou un courriel pour plus d'informations. Great house with perfect location! Designer kitchen with every amenity, large rooms, fun decor, and great mud room! This place was really nice and handled 4 couples very well. The house was perfect for our stay and fit 8 people with room to spare. Melissa was a very very helpful host and went out of her way to make sure we were comfortable. The house was a short walk away from the downtown area which was perfect to avoid traffic. Will definitely stay here again! Loved this property and Melissa was totally reliable. Thanks Alana! Happy that you loved the property...it's one of my favorites! Gorgeous home within walking distance to everything. A group of 8 of us visited the home in February 2018 for a ski trip. The house was absolutely gorgeous and was spacious enough for us all. Top notch craftsmanship on the home and interior design. My only recommendation would be to replace the hot tub. The hot tub wasn't working when we arrived but Melissa was already on top of it and the water was up to 103 by that evening. However, there is no pressure from the jets so it ended up being a nice warm soak. Melissa was amazing! From my initial planning to our arrival and any questions I had in between she was always there to help. I would definitely book this home again! Thank you for a beautiful place to stay. We stayed here for President's day week and it was our first trip to Park City. This house is fantastic. We walked to town every morning and evening, walked to the base, and were able to catch the bus one block away. The house itself is unbelievably comfortable - cozy beds, and great personal touches like Xbox, games, and even a printer that we could use. It was like staying at our own home. Melissa was wonderful to work with, and she even decorated the main area for our son's 5th birthday. Perfect ski rental.